Virtually Connecting returns to EDUCAUSE ELI this year in Anaheim! Grab a seat at the virtual campfire! Watch and tweet: watch the session live (see the embedded videos above or go to our YouTube channel www.youtube.com/virtuallyconnecting). If you choose to Tweet along, please tag @vconnecting and add the conference hashtag. One of our buddies is likely to pick up on your questions on Twitter and relay them to the participants in the live session. If you are attending the conference and wondering what’s for me, stop by! We would love to see you! You don’t have to appear on camera. 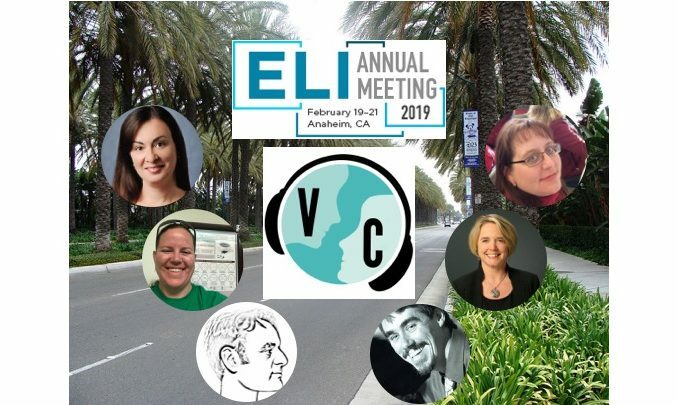 We would love for you to come by, listen to the conversation, take pictures, and tweet about the experience (don’t forget to tag us @VConnecting and use the conference hashtag #ELI2019). Sometimes those watching and listening onsite want to jump into the conversation and appear on camera. So, how do you find us? The key to joining up with us onsite is connecting with Nate Angell onsite. Connecting with us onsite can be tricky because each conference treats our sessions differently – please check details for onsite location on the day.